Aragón Ski Circus | Aragón Ski Circus | Ecosign Mountain Resort Planners Ltd. The Aragón Region Ski Circus study area is located in northern Spain close to the French border in the Aragónese Pyrenees. The area encompasses the mountainous region between the Aragon Valley and the Tena Valley and includes three ski areas: Astún, Candanchú and Formigal, as well as Canfranc Estación, a historic railway terminal and tourist town. 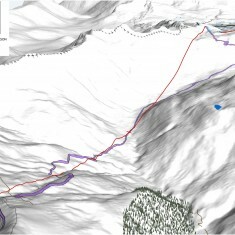 In 2009, Ecosign began exploring the potential for locating new lifts and associated ski terrain with the goal of establishing skier connections between the three resorts. 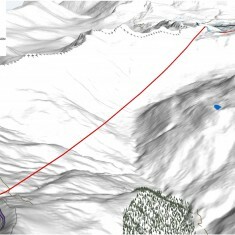 The new connections could result in a “Ski Circus” which would be by far the largest ski area in Spain. 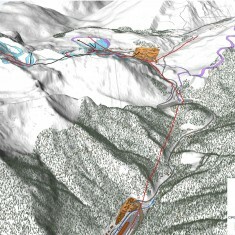 The proposed connection lifts include three sections of eight-passenger mono cable gondolas that transport skiers between Canfranc Estación, Rio Seta, Candanchú and Astún as well as to Formigal through the Cana Roya zone by means of one two-section, eight passenger, mono cable gondola with a midstation. 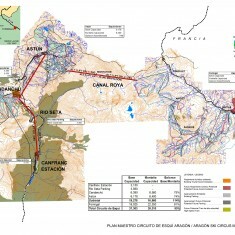 The project would be carried out in four phases over a period of about 10 years, and an investment of 60 million euros.